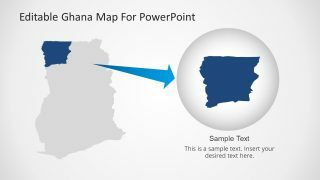 Ghana Map Editable PowerPoint Template is a set of eight slides containing political and outline maps of the Republic of Ghana. 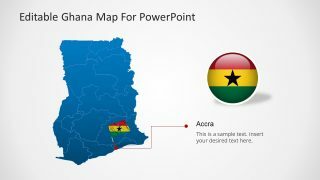 Ghana is located in Africa and it borders with Ivory Coast, Burkina Faso, Togo, the Gulf of Guinea and the Atlantic Ocean. 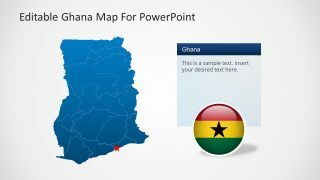 The maps are divided in editable states and the grate Lake Votla is clearly defined . 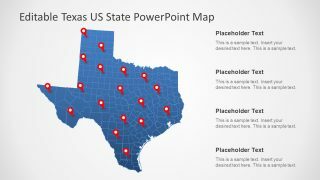 The user can move the states into highlight zones and use GPS markers icons to identify geographical places in the map. 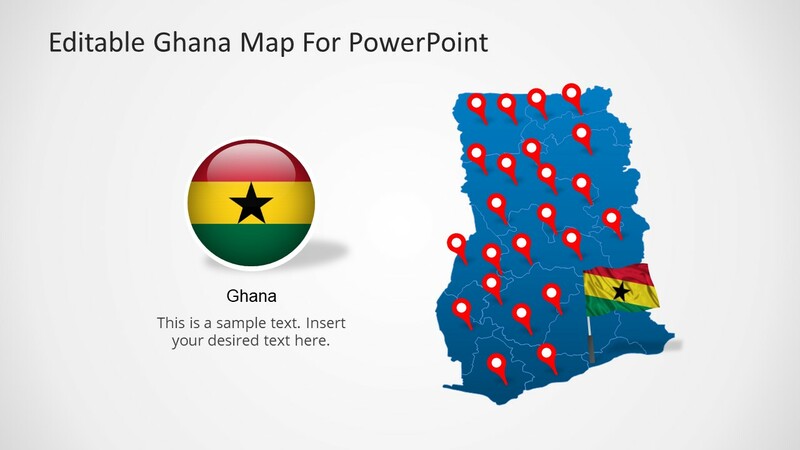 The Ghana Map Editable PowerPoint Template also provides the flag of Ghana, and an icon with the national colors. 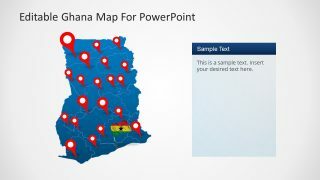 This flexible Ghana Map Editable PowerPoint Template can be used for Geography or History lectures, or simply to describe a high level trip route over the country. 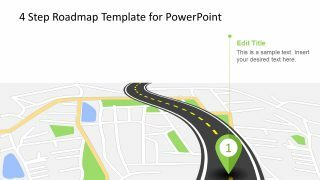 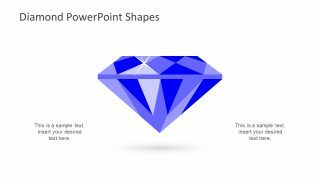 Each of the slides provides fully customizable maps built as a composite of PowerPoint objects, with icons and text boxes with combining palette. 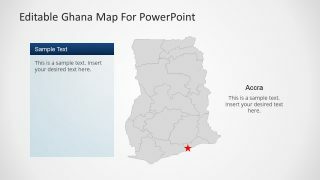 This presentation provides a Ghana Map Editable PowerPoint Template slide with Accra marked as capital city star. 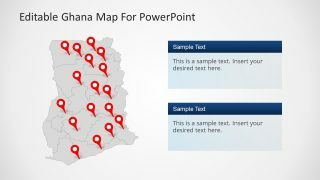 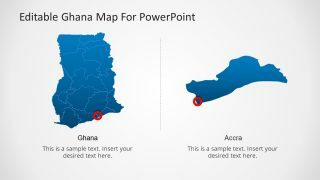 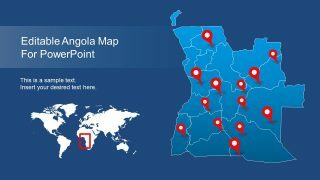 Create professional presentations that appeal to Global audiences with this flexible Ghana Map Editable PowerPoint Template.